The extent of my gardening knowledge stops at mowing the lawn, but my wife loves having a lovely looking garden, especially in those summer months when everything is in full bloom. The problem is having a lovely looking garden can be expensive, even if you follow these tips on gardening on a budget your wallet can take a battering. For many attending their garden or allotment is a labour of love. It seems a shame that after putting all that effort into your garden space, you can’t make a little money from these efforts. Below I’ve put down some ideas that might help you make a little extra money from your love of gardening. Buying your plants already cultivated from a garden centre is an expensive way to garden, if you’re able why not try and sell your plants bulbs and cuttings. Sell them in bags and take pictures so people know what they are buying, also include instructions on how and when to plant them too. You could sell them on Facebook marketplace, eBay, your own website or at a local car boot. I often get a wrap on my knuckles for not buying my wife enough flowers, by enough I mean any. Timing is of the essence so make sure that your flowers are looking their best. It’s all about organic and if you can grow vegetables on your plot then why not sell them at a local market or create vegetable boxes to sell locally. If you have knowledge that you think would be useful to new and seasoned gardeners why not start a YouTube channel, who knows you could be the next Alan Titchmarsh. What’s nice about a blog is that they are relatively easy to set up. You don’t even need to know much about computers. You can buy a simple template sort buy some hosting and away you go. If there isn’t anything you don’t know about blogging there are plenty of supportive Facebook groups out there that can get you on your way. 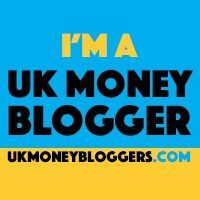 What is nice about a blog is that there are a number of ways that you might be able to monetise it. If you’re proud of what you have grown and you’re handy with a camera or your phone’s camera is good enough, why not take pictures of your flowers and post them on sites such as Fotolia and Shutterstock. My Nan was a very keen gardener and would often press flowers that she had grown, but do nothing with them. If you have a creative eye why not try your hand at creating dry flower art and sell them at car boots, online or local marketplaces. Whether its preserves, cakes or any other recipe that you might be able to imagine and make from whatever you have grown in your garden there is someone out there that is going to be ready to hand over their money for the chance of trying something homemade. Be sure to get all the necessary health and safety and food hygiene certificates. I hope I’ve sparked some ideas and if you can think of any other ways, don’t forget them to post them in the comments. Some lovely ideas, and there’s such great therapy with the outdoors and flowers that it could be as emotionally rewarding as it is financially, and I can see a lot of these ways of making money working quite well!